... Alexander Butterfield, political junkies recall, made headlines when he casually announced that the president had tape recorded conversations in the oval office. That was the end of Richard Nixon, who was badly kicked around .. and not one reporter stopped to ponder why a spook in the White House would crucify his boss with this devastating revelation. 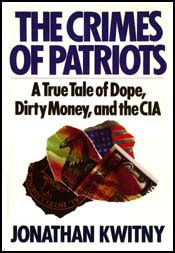 Butterfield gave away the store at another key point in history when he spilled the dope beans to Wall Street Journal reporter Jonathan Kwitny, author of The Crimes of Patriots. When asked about Bernie Houghton and other principals at Australia's Nugan Hand Bank, the CIA's cash laundry, Butterfield gave him a few names that broke the bank, so to speak. Kwitny was referred to General Heine Aderhold, who ran covert operations throughout Asia with John Singlaub, and was in a position to observe the actions of Maurice "Bernie" Houghton at Nugan Hand. 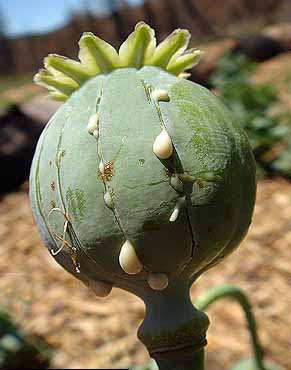 Houghton, it emerged, had been active in the opium trade in the Golden Triangle. Kwitny's investigation led him to dig up a legal claim letter signed by Tom Rahill, an American worker in Dhahrain, Saudi Arabia. According the this letter, "Mr. Houghton's representatives would visit Aramco construction camps in Saudi Arabia shortly after each monthly payday. We investors would turn over Saudi royals to be converted at the prevailing dollar exchange rate, and receive a Nugan Hand dollar certificate. ... The monies, we were told, were to be deposited in the Nugan Hand Hong Kong branch for investments in various 'secured' government bonds." Employees of Aramco, Beck, Bechtel and University Industries (officials there actually confirmed Kwitny's allegations, to his complete surprise, with the comment, "sounds like you've got quite a story there.") were directed to Bernie Houghton, who talked them into investing in the bank at a promised return of 18%. Houghton only dealt in hard cash, and was seen leaving Bechtel with garbage bags stuffed full of paper money. "Hand passed every class he took, and was noted for exceptional character, courtesy, cooperation, and appearance. His IQ registered an also exceptional 131." In 1959 his mother died after falling or jumping from a third-floor window. Soon afterwards he attended a one-year course at the New York State Ranger School. This was followed by a year managing a sports school in Los Angeles. In May 1963 Hand joined the US Army and started his training at Fort Bragg, North Carolina. During the Vietnam War he won the Distinguished Service Cross (DSC). According to the DSC citation he almost single-handedly held off a fourteen-hour Vietcong attack on the Special Forces compound at Dong Xaoi. In 1966 he left the army to work "directly for the U.S, Government". Friends of Michael Hand have suggested that he was employed on undercover missions for the Central Intelligence Agency in Vietnam and Laos. One reported that he "helped train the mountain people - Montagnards - and worked closely with the Air America crews that supplied them". According to Jonathan Kwitny, Hand worked under William Colby during the Vietnam War. Michael Hand moved to Australia in September, 1967. At first Hand went to work selling development lots along the Australian coast. The company, Ocean Shores Development, was run by lawyer Fred Miller, a senior executive for the shipping empire owned by Sir Peter Abeles, the longtime business partner, Rupert Murdoch. One of the largest investors in this scheme was the singer Pat Boone. The registered directors included Boone of Beverly Hills, California and Patricia Swan of Sydney, Australia. Swan was Frank Nugan's secretary. ... "
" ... In May 1963 Hand joined the US Army and started his training at Fort Bragg, North Carolina. During the Vietnam War he won the Distinguished Service Cross (DSC). According to the DSC citation he almost single-handedly held off a fourteen-hour Vietcong attack on the Special Forces compound at Dong Xaoi. In 1966 he left the army to work "directly for the U.S, Government". Friends of Michael Hand have suggested that he was employed on undercover missions for the CENTRAL INTELLIGENCE AGENCY in Vietnam and Laos. 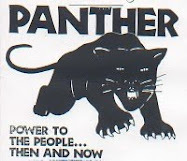 ... "
" ... Bob Hawk's (Australian Prime Minister from 11th March, 1983 until 20th December, 1991) little mate SIR PETER ABELES was the US MAFIA representative in Australia for many years and is known to have attempted to bribe well known anti-corruption journalist Bob Bottom. Of course Bottom refused but it was well known that Abeles would tie someone up in court for years if they dared to print anything derogatory about him ... "
" ... Abeles and RUPERT MURDOCH (I seem to have heard that name before) just happened to own 55% of Australia's second biggest domestic airline - ANSETT. Ansett in turn just happened to own a 20% share in another airline - AMERICA WEST Airline. One of their planes was caught in the US chock a block full of DRUGS in the US. The result was intertesting to say the least. ... "
" ... Twenty percent of the stock of AMERICA WEST was owned by ANSETT AIRLINES of Australia and 55% of ANSETT was held by Sir Peter Ables and Rupert Murdock. We know from Jonathan Kwitney's book THE CRIMES OF PATRIOTS that Burny Houghton, perhaps the key figure in the founding of the CIA drug money laundering bank NUGAN)HAND in Australia, had coffee with Sir Peter Ables the night of his first day in Australia. ... "
When Frank Nugan was found dead in Australia in 1980, it was accepted as a suicide and the sighs of relief could almost be heard in Langley, on the other side of the globe. 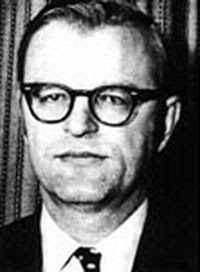 But then William Colby's business card was found in Nugan's wallet, and Nugan's partner, Michael Hand, had been a contract agent for the CIA in Vietnam. Australian authorities began tracking Nugan Hand Bank, which developed into the most fun story of Golden Triangle drugs, money-laundering, profiteering, corporate shell games, and financial fraud that has yet surfaced in the CIA's unofficial history. The most intriguing aspect of Nugan Hand Bank was the list of Yankees who were in on the scam. Theodore Shackley, Richard Secord, Thomas Clines, and Edwin Wilson played peripheral roles, while Gen. Edwin Black ran the Nugan Hand Hawaii office, Gen. Erle Cocke ran the Washington office, Gen. LeRoy Manor ran the Philippine office, Colby was their lawyer, former CIA deputy director Walter McDonald was a consultant, Adm. Earl Yates was president of Nugan Hand, and Robert Jantzen, a former CIA station chief in Thailand, got out of Nugan Hand when he smelled drugs. He needn't have bothered; apart from Kwitny's Wall Street Journal articles in 1982, Nugan Hand received little coverage and no official interest in the U.S.
As I have tried to impress upon one and all with bumper-sticker simplicity: Conformist, CIA-programmed, status quo thinking doesn't begin to notice reality. An individual capable of independent thought begins by looking for telltale influences on Murdoch - say blood-thirsty CIA jackal Ted Shackley, who "had a good relationship with Murdoch when he was CIA station chief in Australia between 1972-75. This was around the time that Murdoch's fortunes changed." Murdoch's partner, Peter Abeles, a Mafia kingpin, was the schemer behind Australia's Nugan Hand Bank, the CIA's money laundering front. 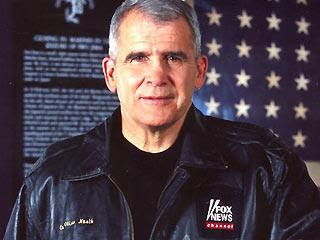 "conservative" propagandist whose view of the world is parallel to General Pinochet's, but one deliberately installed to program public opinion. Could that be? How did he really get to where he is today? No penetrating answers come from the status quo, ever. Does anyone care that this "conservative" charlatan without a conscience is ushering in open fascist rule on a red carpet of lies? From: "Rupert Murdoch and the Western Media"
... Bill Casey was one of the key men in the acquisition of media after WW2. It was one of his young German immigrants who were sent back to Germany after the war to take over Bertelsmann and build it up. Rupert Murdoch was very tight with Shackley, which is how he got launched on his global acquisitions and has now taken over the WSJ. ... Murdoch was running a failed national newspaper in Australia while Shackley was station chief in Australia. Then suddenly he becomes a US citizen literally overnight and goes on an endless buying spree. Shackley was getting richer by the second. 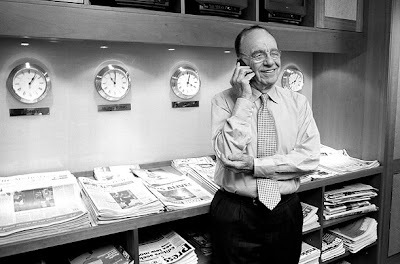 At the time, Murdoch was facing the likely closure of his newspaper THE AUSTRALIAN. His ticket out was Shackley. This also explains why Murdoch was allowed to break all the rules in taking over of all the media in America. In the run-up to the 1972 election, Murdoch's paper The Australian was a keen Whitlam supporter, donating some $75,000 in free advertising. 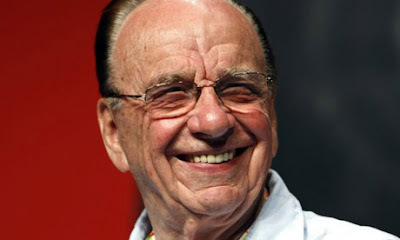 By 1975, with Peer de Silva, John Denley Walker and Milton Wonus CIA station chiefs, Murdoch had turned savagely against the Labour government, to the extent there were demonstrations outside The Australian's Sydney offices. Murdoch's role was part of a longer-term CIA operation to destroy Labour’s powerful leftwing and install Bob Hawke and his CIA-affiliated cronies in the New South Wales Right faction, who hosted Bernie Houghton and the merry band called Nugan Hand. Shackley and Walker particularly despised Whitlam who had tolerated the left and believed in Australia's dictatorship! 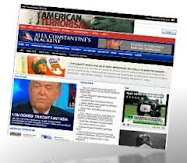 Before every presidential election, Moon’s Washington Times plants derogatory – and often false – stories about Democratic contenders, discrediting them and damaging their chances of winning the White House.